Rowan is the three year old daughter of Scott and Mandy Price, and the little sister of Emory. Rowan was diagnosed with AML M7 on Friday, October 5, 2018. AML M7 is an aggressive and rare form of leukemia for children. Chemotherapy treatments will begin almost immediately. This road of treatments will be extremely long, and will likely include a bone marrow transplant. Scott, her father, has dedicated his life to working with special needs kids as a Special Education teacher in a local elementary school. 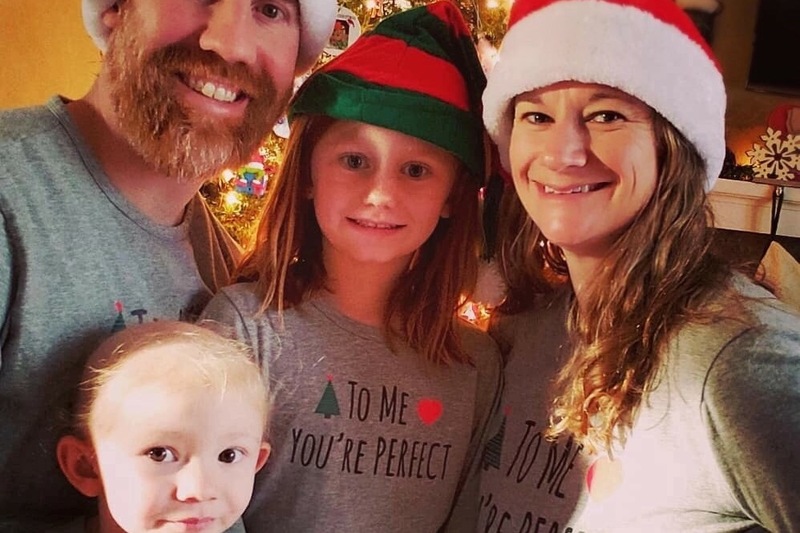 Mandy, Rowan’s mom, is a RN at the Veteran’s Hospital in Salem, VA.
Rowan’s parents spend their days helping others, and it’s time we help them! Anything that you give will help with hospital costs, treatment plans, missed days from work, and all the other monetary costs that come with fighting childhood cancer. Let’s show the Price family that we are all ROWAN STRONG! Scott, Mandy, and Rowan relocated to Durham, NC to begin Rowan's stem cell transplant on January 2, 2019. Rowan was admitted to the Duke Pediatric Bone and Marrow Transplant (PBMT) unit on January 21, 2019 where she and her parents, Scott and Mandy, spent 51 long and arduous days and nights. Rowan went through another round of chemotherapy and total body irradiation during her stay at Duke to prepare her body for her stem cell transplant. Rowan and her parents have endured the unspeakable. Blood and Marrow Transplants are difficult to explain and difficult to go through. Rowan's little body was depleted of everything so that she could receive brand new cells that would grow and eradicate the remainder of her cancer cells with the goal of complete remission in 5 years. 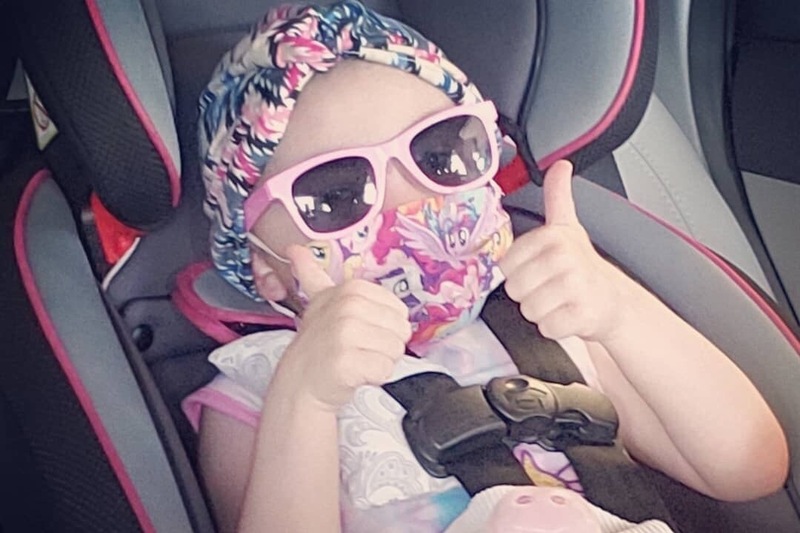 Rowan developed fevers and infections during her transplant due to having no immune system, she had numerous reactions to medications, received numerous transfusions and recieved too many medications to count, all while being strong, brave, resilient, and smiling. She was discharged from the PBMT unit after 51 days inpatient, just 3 days before her 4th birthday. Although she was discharged, the family must stay in Durham until 100 days post transplant, if no complications. Rowan's transplant was on January 30, 2019 and the family is hoping to return home the end of May. She is currently visiting the Children's Hospital for clinic visits twice a week, is on numerous medications, receives infusions and transfusions if they are needed, and remains on isolation from indoor public areas. Scott and Mandy have took a leave of absence without pay from their jobs as a teacher and nurse in November to concentrate on caring for Rowan during this time. They are unsure of when they will return home and unsure when Rowan's health will allow them to return to work. During all this time, Rowan's big Sis, Emory had remained in school and living with family. She will now finish her school year in Durham with her Mom, Dad, and little sister. Scott, Mandy, and Rowan are off to Duke to begin Rowan's work up for transplant. The work up will start tomorrow (Jan 2nd). What many may not know is that they are having to uproot and relocate for over three months. Rowan will be inpatient at Duke for approximately two months as she undergoes chemo and total body radiation to destroy everything in her bone marrow...good and bad. This has to be done so her new stem cells will migrate and take over in her empty bone marrow. The hardest part on them will not be the chemo, the radiation, the side effects, the being away from home, or the transplant, it will be the fact her big sister, Emory, can't visit. It's flu season and per Duke regulations, kids under 18 cannot recognize when they are getting sick. This means that no one under 18 can come in the transplant unit until flu season is passed. This will be the hardest part for us all. 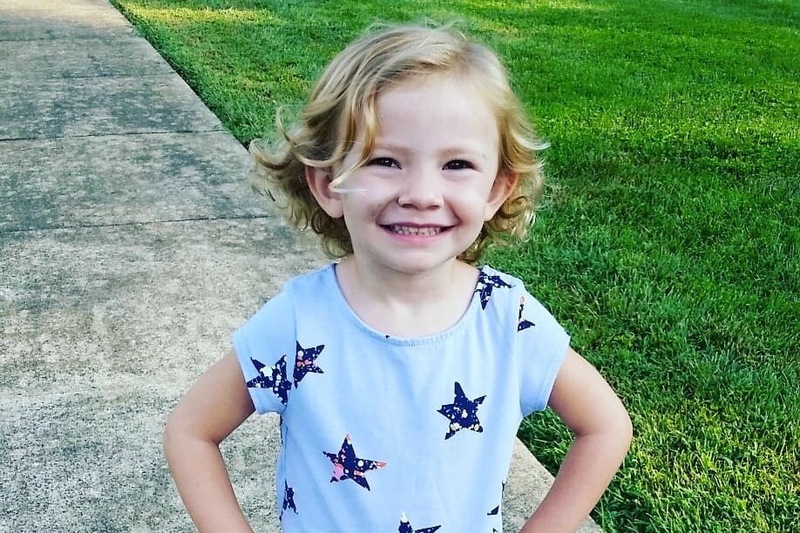 Emory will remain in Roanoke to continue her life as a “normal kindergartener" and will visit them on weekends. Unfortunately, her visits with Rowan will be limited to electronics and a screen (thank God for technology). Scott and Mandy are anxious, nervous, scared, and overwhelmed. This is one hell of an emotional rollercoaster and the fear of the unknown can be paralyzing. But as you all know, Rowan is a fighter and so is Emory. The Price family never backs down from controversy and they look fear in the face. This is a new journey and they will face it together and overcome the obstacles in our way! 2019 will be a New Year and a New Beginning! Rowan has become anxious during her port accessing (placing the needle in the port where chemo is delivered), so this time accessing was a little dramatic and sad for everyone involved.In the end it was no problem, as the wonderful nurses did an excellent job. Rowan also had to have another echocardiogram before chemo because this particular regimen can be hard on the heart. During the heart ultrasound they could not find/locate the catheter associated to her port that should be in the large heart vessel. So. .. This warranted lab work. They drew labs called an arterial blood gas from her port to measure oxygenan and carbon dioxide in the blood. They did and results were not the results that were expected. This made our oncologist and the cardiologist suspicious. They met with a cardiologist and had a repeat echocardiogram. Rowan was a trooper. She laid still for this guy for over 45 minutes allowing the doctor to look at her heart and the flow of the catheter. They found the catheter (in the right spot) and did some turbulence flow. Ultimately, the lab did had not resulted accurately, and Rowan's heart is just fine - no defects, no abnormalities - just an inaccurate blood result. This delayed chemo though, until 630pm last night. As for Rowan, she just rolled with the flow. Today started out a little rough once her 2nd chemo treatment was started at 630am. She was nauseous and dry heaving shortly after it finished infusing. With some medicine to help the nausea, she was able to sleep. She slept for about 5 hours yesterday afternoon. When she awoke, she was feeling good and able to enjoy her sister and some surprises! Rowan finished her 6th day of chemo on Sunday, October 14. She has done surprisingly well. Rowan had the opportunity to spend the day with her grandparents and some other family visitors, while her mom and dad took her sister to GoFest. Both girls were kids today. Rowan has 4 more days of chemo this round. The family is hoping to return home on Thursday. Rowan’s family is extremely grateful for each and every person that has given their prayers, love and support during this difficult time.